Discover the magnificent Canadian grizzly bear at Great Bear Lodge, a secluded floating lodge in the heart of the Great Bear Rainforest, located 80 kilometers from Port Hardy on the northern tip of Vancouver Island, only accessible by a floatplane or boat. Enjoy daily guided activities, such as boat cruises and interpretive rainforest walks. 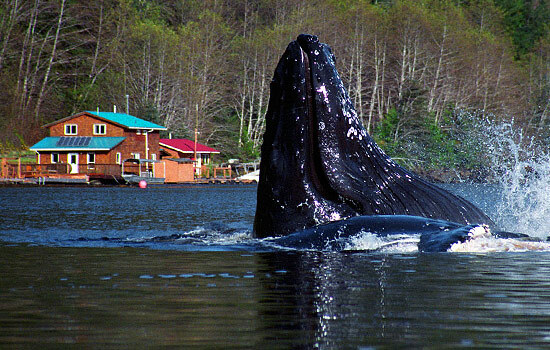 There are many native species to admire, including grizzly and black bears, wolves, otters, bald eagles and many others. This unique wilderness lodge offers impeccable service, gourmet food and stunning views. 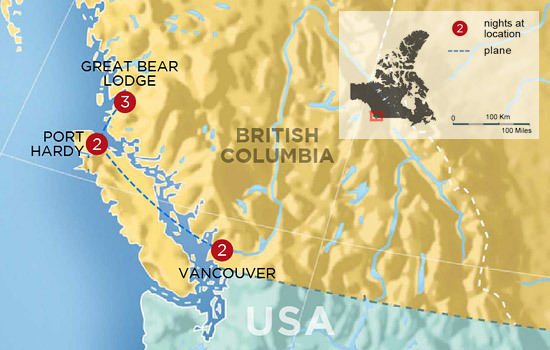 Great Bear Lodge is located 50 air miles from Port Hardy, British Columbia, at an outstanding wildlife viewing location. This is a place of spectacular beauty where one can still find the silence and solitude of true wilderness. The charming, wind and solar powered floating lodge has eight bedrooms. The common area is a comfortable place for relaxing and listening to natural history presentations from our wildlife biologists.Natural wood decks surround the lodge, a perfect place to enjoy a glass of wine while enjoying the beauty of the scenery. Gourmet meals in the dining room are made from fresh, often organic, local ingredients. This elegant hotel is located in a prime location in downtown Vancouver, offering easy access to restaurants and shopping. You can soak up the chic atmosphere and enjoy the spa, sauna, fitness center and pool. Today you arrive in the beautiful coastal city of Vancouver. Surrounded by mountains, ocean and forest, Vancouver is one of a kind. Tonight you settle into a welcoming Vancouver hotel – the comfortable atmosphere, welcoming staff and beautiful views make for a great first night. You have a full day to explore Vancouver. 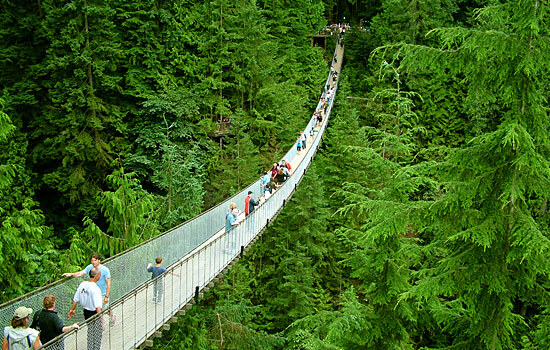 Included is a small group tour, to explore Vancouver’s beautiful North Shore, where you’ll see stunning ocean vistas and old growth rainforest. This morning you will be taken by private transfer to Vancouver Airport’s South Terminal for your flight to Port Hardy. Enjoy the bird’s eye view of British Columbia’s rugged coast line on your journey to the northern tip of Vancouver Island. 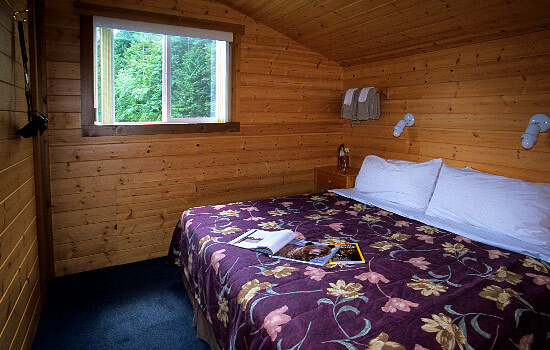 Upon arrival make your way to your Port Hardy hotel. Be sure to get lots of rest, tomorrow your Great Bear Lodge experience begins. Leave the noise and distractions of modern life behind, today you welcome the relaxation and silence of the remote wilderness. Your friendly guide meets you to assist with your transfer to the Great Bear Lodge. Board your seaplane for your first adventure – the views of Queen Charlotte Strait and the central coast are breathtaking. Your friendly hosts are waiting to welcome you to the lodge and show you to your private room. In the late afternoon your first wildlife viewing session begins. It’s nearly impossible to describe seeing your first grizzly bear – breathtaking, thrilling and humbling all in one moment. This evening you’re served a fresh gourmet meal prepared with the best local produce and seafood available – enjoy complimentary wine or beer with your meal. Learn where the grizzly bear fits into the local ecosystem before relaxing by the fire and enjoying the sounds of the forest. Overnight at the Great Bear Lodge. The Great Bear Lodge promotes low-impact eco-tourism by using wind and solar power, taking special care not to disturb the bears or their environment. 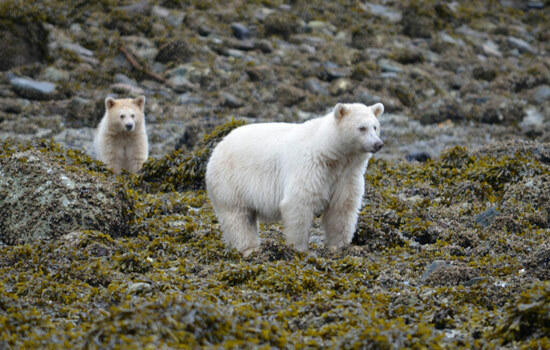 Scheduled morning and afternoon bear viewing sessions coincide with times when the bears are the most active. 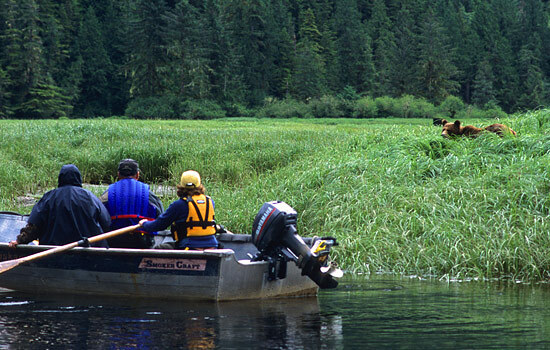 Accompanied by an experienced wildlife biologist, observe bears roaming freely in their natural habitat as you cruise by boat through nearby estuaries or watch from specially designed viewing areas. Keep a close eye for other wildlife such as wolves, otters, bald eagles, black bears, pine martins and mink. Daily guided activities, such as boat cruises and a popular interpretative rainforest walk, are offered between morning and afternoon viewing excursions – and a delicious brunch awaits you back at the lodge. If you travel in late summer and fall you’ll witness the incredible sight of thousands of migrating salmon from a series of enclosed viewing stands along the river. 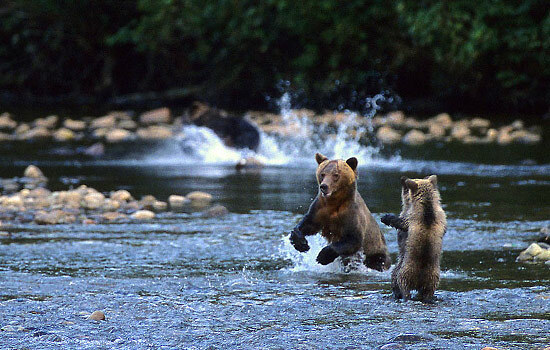 Watch as the grizzlies hunt for fish in preparation for their coming hibernation. This morning you go out on your final bear watching session. Be sure to bring your camera along for those last great photos! 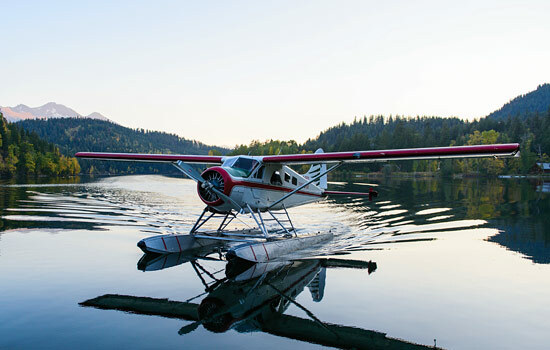 Return to the lodge for a farewell brunch before boarding your seaplane for your journey back to Port Hardy. Enjoy another evening in this fishing community. This morning, return south to Vancouver to connect with your flight home. Much too soon, you leave the clean air and colorful sights of Canada behind as your vacation comes to an end. 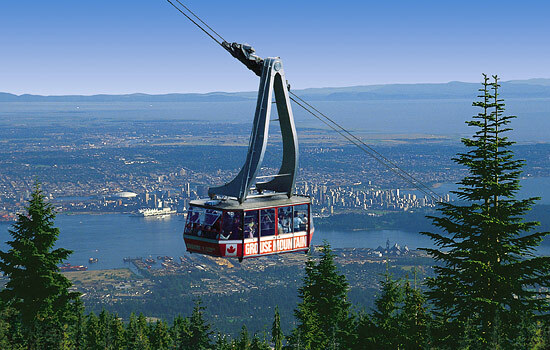 • Vancouver North Shore tour is not available on the October 10 and 13 departure dates. * Vancouver North Shore tour is not operating on these dates.